Samsung Notebooks has appointed Pickled Egg to run its 2009 distributor and reseller incentive campaign. The agency won the year-long contract following a nine-way pitch. The programme includes monthly incentive trips for 20-40 delegates to yet to be determined UK and overseas destinations, tickets for VIP boxes at major gigs, and events including the MTV Awards. Historically, Samsung Notebooks ran incentives on an ad-hoc basis but is launching the bolstered campaign in the first quarter of this year in an effort to target a 6% share in the UK laptop market by 2011. Samsung Notebooks general manager Darren Matthews said Pickled Egg had a thorough understanding of its business strategy. "It can provide the full coverage we need and manage everything in-house," said Matthews. "It has already done a terrific job with our print division." Pickled Egg director Ricky Knight said: "Samsung Notebooks was looking for a specialist to manage its programme, ensure its partners were engaged and its latest product information was reaching the distribution channels." 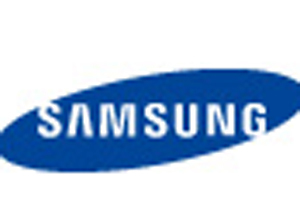 Samsung Notebooks is using a system called Pointbank to measure ROI and manage downloadable and online quizzes as well as provide delegates with product information as part of the programme.